Inspiring Success Story of Vinod Khosla - The worlds No.2 Venture Capitalist! 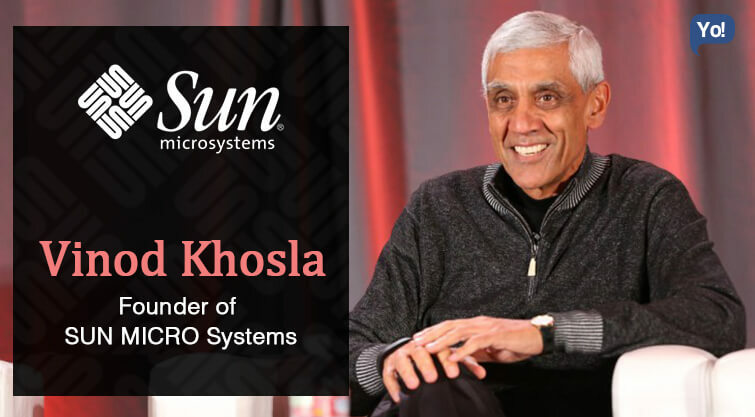 Born on the 28th of January 1955; Vinod Khosla with a net worth of $1.71 Billion is the founder of Sun Microsystems and now Khosla Ventures. Khosla Ventures as the name itself suggests is a Venture Capital Fund, whereas Sun Microsystems is a company that had created the Java programming language and Network File System (NFS). Being one of the most influential personalities in Silicon Valley, Vinod is also known to be as the world’s No.2 ranked Venture Capitalist, and was also among the first venture capitalists to understand that Internet Technology and Fiber Optics had the potential to make communications so fast, cheap and easy. Other than that, Vinod is also one of the founders of TiE (The Indus Entrepreneurs), and has also co-founded the CK-12 Foundation, which aims to develop open source textbooks and lower the cost of education in America and the rest of the world. About his personal life – Vinod lives with his wife Neeru and his four children Nina, Anu, Vani and Neal in Woodside, CA. With a strong belief in closeness of family, his day must include a breakfast and dinner with his family. The Evolution Of Vinod Khosla! So Vinod was the son of an Army Man from New Delhi, India, but personally, held fascination about Information and Technology. While reading the Electronic Engineering Times at the age of 14, he saw the founding of Intel. Inspired by that article, he decided to pursue technology as a career. Having said that, he joined the Indian Institute of Technology to pursue his Bachelor of Technology in Electrical Engineering, after which he thought of trying his hand at his childhood dream of entrepreneurship at the age of 20. After various and multiple attempts, Vinod failed to start a soy milk company for people who lacked refrigerators. Frustrated; he learnt his lesson and gave up the mission and moved to the US to pursue his Masters of Science in Biomedical Sciences at Carnegie Mellon, and then later also completed his Masters in Business Administration from Stanford University in 1979. Now, Vinod had set a target for himself to become a millionaire before the age of 30, hence, to achieve this target the ambitious him, decided to finally begin his career and began working for Daisy Systems Corporation, a computer-aided engineering and design company. That is where it all began! Journey From Being An Entrepreneur To Venture Capitalist! Now Daisy Systems found in 1980, was a company that manufactured computer hardware and software for the EDA (Electronic Design Automation) industry, including schematic capture, logic simulation, parameter extraction and many other tools. While working for the company what supremely frustrated the man was, having to design the computer hardware on which the Daisy software needed to be built. This is when the idea of Sun Microsystems erupted in the mind of Vinod. The idea was to build workstations for software developers. After giving it a lot of thought and research, Vinod finally started Sun Microsystems along with his Stanford classmates Scott McNealy, Andy Bechtolsheim, and UC Berkeley computer science graduate student Bill Joy in 1982. The name ‘SUN’ was not the real sun, but the short form for the Stanford University Network. As most of us in the entrepreneurial world already know, Sun Microsystems Inc. was nothing but a company that sold computers, computer components, computer software, and information technology services which were more inclined towards the software developers. SUN was also the company that created the Java programming language, Solaris Unix and the Network File System (NFS), which today almost every developer uses. The company was also behind significantly evolving many important computing technologies like RISC processors, Unix, virtualized computing, thin client computing, etc. The initial design which became Sun’s first Unix workstation, the Sun-1, was originally designed for the Stanford University Network Communications project as a personal CAD workstation. Interestingly, this system was built from spare parts that they had received from the Department of Computer Science at Stanford and Silicon Valley supply houses. And word has it that SUN was profitable after the first quarter since its initiation in 1982. By the next year, the company had gained a high reputation for producing Motorola 68000 processor-based systems with high-quality graphics. They also licensed the computer design to other manufacturers, who then used the same to build Multibus-based systems running Unix from UniSoft. Simply put – it was a huge thing! SUN went on to become one of the early companies to launch an IPO in 1986 for Sun Workstations. 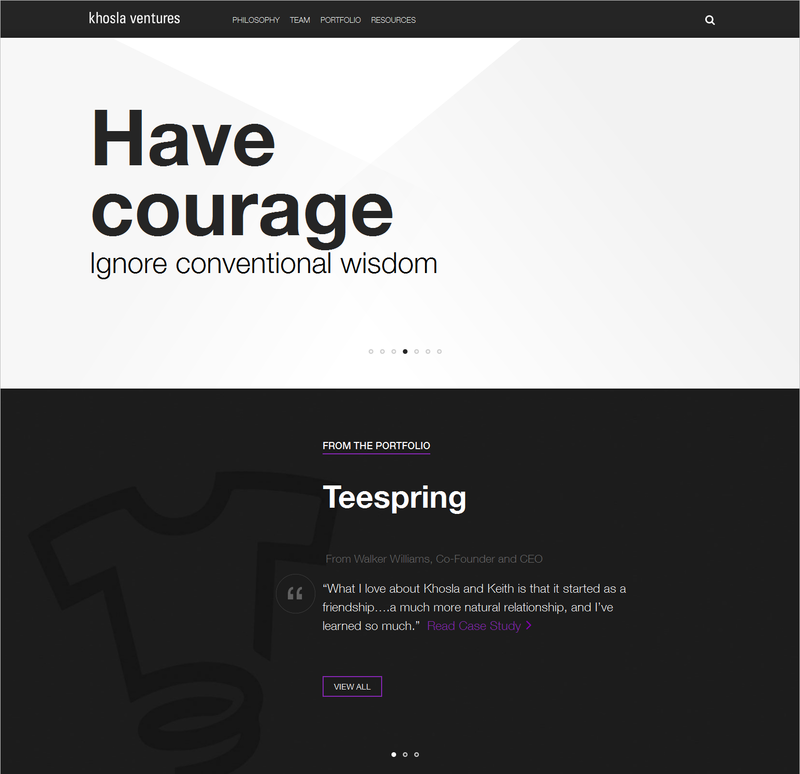 Later, the company also changed their symbol to JAVA, out of the intention that its Java platform better represented the company’s strategy then. And like they say – “Everything that begins has an end”; similarly, SUN Microsystems Inc after facing a long downtrend since after the 2001 bubble bust, eventually was sold to Oracle Corporation in 2009 for $7.4 billion. After their merger with Oracle USA, Inc. the company in the following month (after the acquisition) become Oracle America, Inc.
Now during this whole lifecycle of SUN Microsystems, Vinod was only a part of this journey till 1984, soon after which he moved out to become a venture capitalist. Thus giving rise to a new chapter of his life! Trivia: – the headquarters of sun microsystems is now the headquarters of facebook! To begin with; Vinod joined the venture capital firm Kleiner Perkins Caufield & Byers as a General Partner in 1987. During this stint and over the period of time; the bold yet wise risk-taker that he was, Vinod had managed to gain huge recognition and appreciation as a venture capitalist. This was mainly due to his range of successful early stage investments. Some of these included Asera, Dynabook, BroadBand Office, Excite@Home, Viant, Extreme Networks, Lightera, SKS Microfinance – the Indian microfinance company that lends small loans to poor women in rural India, and many others. During this time, Vinod also gave birth to the idea to optimize SONET for data, which subsequently led to the creation of Cerent Corp. Cerent was a telecommunications-equipment company which Cisco acquired in 1999 for $6.9 billion. Other than that, he is also widely known for launching Juniper Networks, a company which is believed to be the next Cisco. Now with a reputation of having a profile containing some of the most successful ventures, Vinod also has a few ventures where he has gone wrong. One of which includes 3DO Co, a game-maker. This company although received an IPO but their shares now sell for a fraction of their initial offering price in 1993. Nevertheless, what is great is that, instead of cribbing and crying over the failures Vinod has only managed to learn from his mistakes and move ahead. After gaining the relevant experience and exposure of the VC world, Vinod due to a constant urge to help the new generation, started his own Venture fund in 2004 called “Khosla Ventures”! This urge had primarily emerged after he saw that there was a lot of potential in the newly evolving youth. Hence, initially he started this fund using all his family funds. Based out of Menlo Park, California; this Venture Capital firm mainly focused on early stage companies in the Internet, computing, mobile, silicon technology and clean technology sectors. Additionally, the first two investments made by the firm were also from the personal pockets of Vinod himself and not any institutional investors. It was only after this, that the firm started accepting investments from outside. In March 2009, his fund was joined by Pierre Lamond as a General Partner, following which they completed fundraising for two new funds to invest in Clean-Tech and Information Technology Start-ups. They had secured a total of $1 Billion worth investor commitments which included $750 million to invest in traditional early stage and growth stage companies, and $250 million for their second fund – Khosla Seed, to focus on investing in higher-risk opportunities. In May 2010, the company also made a huge announcement that, former British Prime Minister Tony Blair was to join Khosla Ventures to provide strategic advice regarding investments in technologies focused on the environment. The firm today manages more than $4 billion worth investor capital as well as investments funded by Khosla himself. They hold a diversified focus on a broad range of areas including health, advertising, financial services, education, big data, agriculture/food, energy, robotics etc. They have also heavily invested in bio-refineries for energy and bio-plastics, solar, wind, battery, engines, etc, and many other environmentally friendly technologies. Talking about their investments; Khosla Ventures has made a total of 368 Investments in 221 Companies out of which 6 have succeeded to an IPO, while 36 of them have been acquired, so far. Some of the company’s investments include: Academia.edu, Bloom Energy, DB Networks, EcoMotors, GreatPoint Energy, Panzura, Cogenra Solar, Snip.it, Relcy, etc. Personally, Vinod himself has also made a total of 18 Investments in 13 Companies as well which include – Vicarious, Watsi, Quanttus, Vittana, Ausra, etc.